An unwelcome plane banner may have flown "The Fast and the Furious" star Tyrese Gibson straight into legal trouble -- but he seemingly has no regrets. Tyrese's ex-wife, Norma Gibson, is accusing the actor of violating a temporary restraining order by hiring a plane to fly a banner over their 10-year-old daughter's school. The girl was allegedly "mortified" when she saw the jumbo-sized message, which read, "No matter what, Daddy loves you Shayla." On Wednesday, the actor publicly addressed the news with a lengthy Instagram post alongside a gallery of photos with his young daughter: "I wanted the banner to be longer but it’s [sic] was too expensive," he wrote. He wanted it to read: "In the end however way it looks, however way this all feels stay strong my little angel i taught you that this is all just a process of pain seeking happiness, whatever the outcome just know the courts and NO one will ever paint OUR picture NO MATTER WHAT DADDY STILL LOVES YOU SHAYLA." The child has also received deliveries of flowers, teddy bears, balloons, and a chocolate fruit arrangement at her elementary school, all from her father, according to TMZ. Norma reportedly believes the unsolicited gifts are an attempt by Tyrese to influence their daughter's testimony during the ongoing court proceedings. 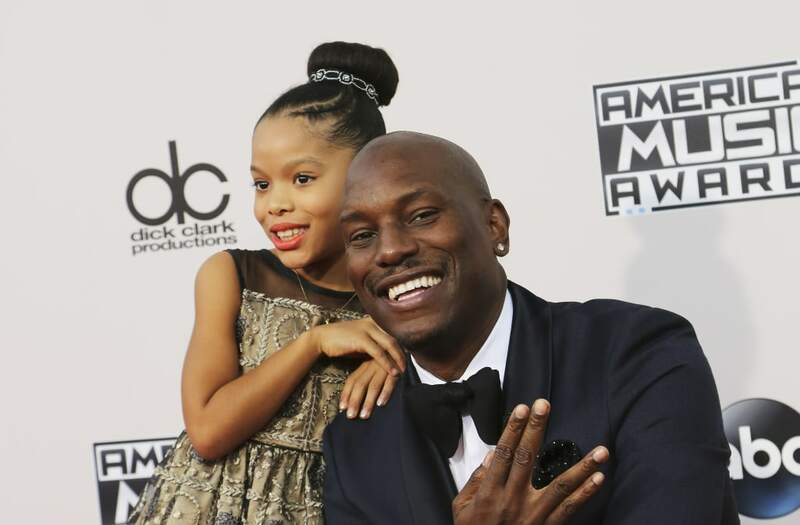 She has accused Tyrese of child abuse and is seeking full physical and legal custody. Tyese has a massive following of 9 million Instagram followers, but many of his fans are skeptical of his tactics to win over public support. "Putting that sign above the school was probably humiliating to your daughter and most likely brought upon lots of unwanted attention," one wrote.